Are you unable to find your way in life? Do emotional or other problems form obstacles on your road to happiness, health, success? Do you easily feel misunderstood? Would you like to learn how to handle your stress efficiently, so that you can achieve a sense of peace and harmony in your thinking, your relationships and your body? I am Martine Tondeur from the Celeste holistic practice, an experienced coach, PSYCH-K® facilitator and Instructor. With PSYCH-K®, you transform the obstructive beliefs nested in your subconscious into supporting beliefs, allowing you to experience peace and harmony. Thus, you can programme your own life, without ballast and without stress. Is your handbrake on, even when you’re pushing the accelerator to the limit? 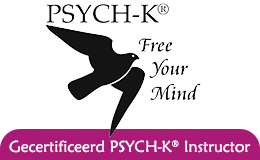 Then PSYCH-K® will provide you with the necessary insights and tools to go about your life differently. From now on, you are in charge! Would you like to know more about the healing properties of PSYCH-K®? Then sign up now for a free introductory session. Would you like to jettison all those obstructions in your life and are you curious about the working methods of Celeste? Please feel free to contact me with no strings attached. After a long search for more than 37 years, I finally found the balance between my mind and my body thanks to PSYCH-K®. It gave me a "heavenly feeling". If this is not "Divine" or "Celeste" ?! For this reason, I will be pleased to share the key "PSYCH-K®" in my workshops.